Thank to Gina for the interview. I'd love to see Sherman Alexie in person! And no need to enter me in the contest, Natalie. Hope you have a great week. I think the main reason for love reading so much is that I books can take me to another world too. I'd love to win an ecopy of Elusion. That cover is beautiful! Great interview, Gina and Natalie. I had the same attitude about classics in high school. Not that I remember reading many. Or maybe they are now classics when they weren't back then. lol There were a few that surprised me, but mostly we had to read short stories by Canadian authors. They weren't all that exciting, which is why I still don't read short stories. All of the amazing covers!!!! Also hitting the library every week sounds glorious, she has the right idea! Best of luck with your college studies, blog, and short stories, Gina! My college English lit class was my favorite, and I went on to re-read many of those novels just for fun later. I haven't visited in a while, but YA Books Central is a great place to find new books. Good luck with your writing, Gina. Its great to meet Gina and good luck finding a publisher for your short stories. Excellent interview!! There really isn't a good library where I live, which is a shame. I would love to have a good one. I recently went out of town and visited they're library. It was fabulous!!! I was jealous. Fun to find out more about you, Gina! You stop by my blog on occasion. All best to you in your pre-med program. You are ambitious tackling that major and writing at the same time. A writer AND a future doctor! Way to go, Gina! That's a shame authors never visited her school. You would think schools would be more open to such an activity. Great interview and advice, I love frequenting the library and bookstore when ever in get the chance too. No need to enter me in this giveaway. Hope you have a wonderful week Natalie. Aww, man. I wish I could go to the library every week. (Dead car.) I'm jealous! The interviews with students, whether MG, Junior High/High School and early college tend to be rather enlightening to me as an author. Makes me really try to put my thinking cap on. Fun interview with Gina! Glad you've found the blogging community. That's so cool that you've discovered some short unpublished posts well worth reading! I always enjoy your "Ask the Expert" interviews. It's great that Gina supports her local library AND her local bookstore. And it's interesting that she says none of her teachers ever recommended any blogs or author websites. How can we get teachers to change that and start recommending sites? Thanks for hosting me again Natalie! Gina, Jane Eyre and Anna Karenina are two of my favorites! Hope you enjoy them. I'm the same way with checking books out of the library then buying them if I like them. I was lucky enough to be at the SCBWI conference when Sherman Alexie spoke. He was a brilliant speaker. Great to read about Gina and am looking forward to reading what Kelly Pollack has to say. Gina doing pre-med and writing! phew!! Wow. Pre-med. That is something. Congrats to your winners from last week. Some interesting books this week, but let someone else win. I am really under the gun right now. Great interview! I'm impressed that you're tackling Anna Karenina. I finally read it last summer and loved it. It's great that you're using your blog for your stories. I would love the Shadow Throne! Hi Gina, I love writing short stories too. Good luck in finding a publisher for them. Gina, I love that you're reading, reading, reading--it will only improve your skills. Good luck with pre-med! I have shared this post on Facebook earlier. 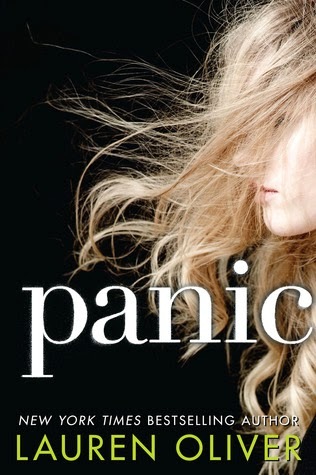 If I win, I'd love to read Panic as I'm an Oliver fan! Great interview with Gina! 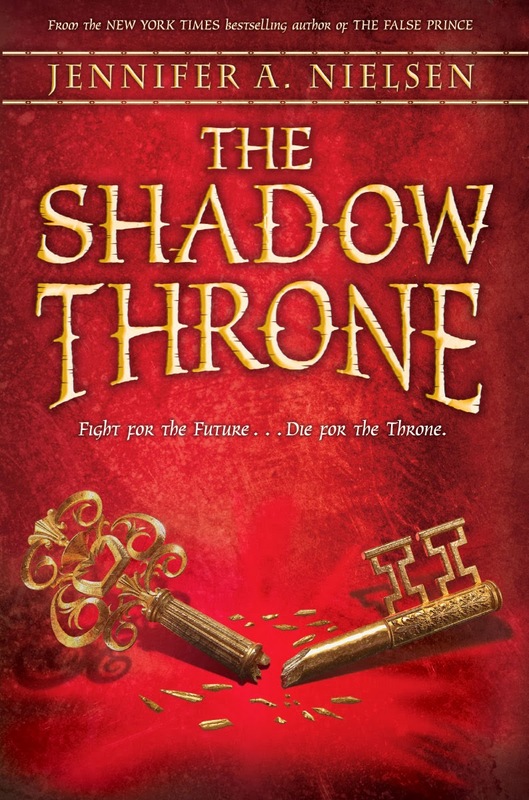 I would love to win The Shadow Throne - loved the first two and I've been waiting for the final book. 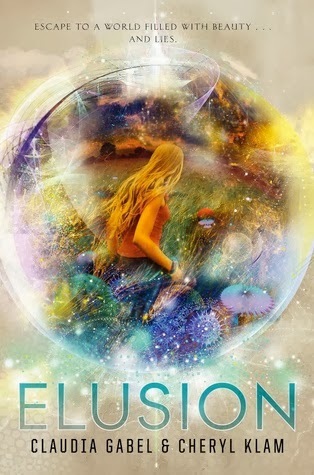 Elusion is on my debut authors TBR list! I'd love to win this one! Tweeting about the giveaway too. And Anna Karenina is AMAZING. Excellent pick! Thank you. I enjoyed reading through the post. I've visited Gina's blog and enjoyed her insightful posts. It was great learning more about her. I am really looking forward to Ruins (Partials series #3) too! I don't know how you find time to write when you are pre-med, that is crazy good! 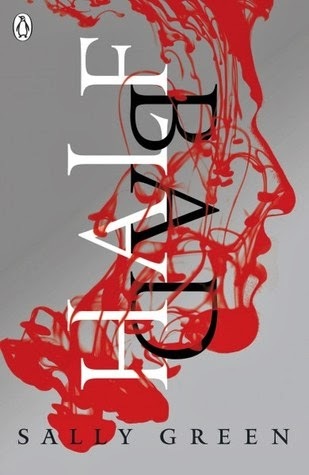 I'd love to win Half-bad :) And interesting that Gina's pre-med, why not major in English or Literature? Does her writing have a lot of medical details or aspects?